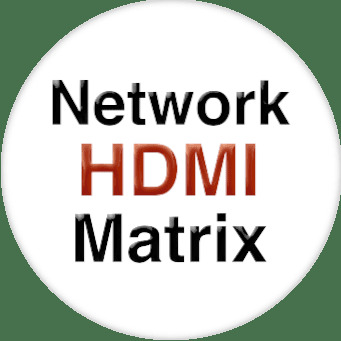 HDTV Supplys WolfPack™ HDbitT HDMI video matrix over IP allows for the distribution & switching of high definition 4K video & audio signals using off-the-shelf Gigabit IGMP switches. The HDbitT HDMI video matrix over a LAN uses advanced HDbitT technology supporting a video resolution up to 4Kx2K@30Hz Ultra HD. It can also be used as an extender in a point-to-point connection with distances is up to ~400 feet. This HDbitT HDMI video matrix over IP includes a transmitter unit(TX) and a receiver unit(RX). You can create here any-size HDMI matrix switch using HDMI over IP with only the number of ports available on the Ethernet LAN switch (above) limiting the ins and outs of your design. Multiple receivers can simultaneously connect to many transmitters to form a virtual matrix of up to multiple HDMI inputs with up to 65,000 HDMI receivers (widescreens). HDbitT stands for High-Definition Digital bit Transmission Technology. It is a new standard protocol of digital connective and specialized for professional Audio/Video over IP delivery and transmission. HDTV Supplys implementation of this HDbitT product enables high-definition Audio/Video up to 4Kx2K@60Hz to transmit via network cables, optic fiber, power line cable, wireless and even more transmission mediums. It provides a more stable performance, better image clarity, further transmission distance and other significant advantages. HDbitT supports a 100m/328ft digital signal transmission at almost zero latency. 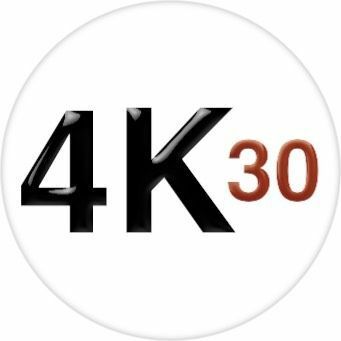 Unified standard: All HDbitT products are fully compatible with HDMI and supports all the key features of HDMI including 1080P/4K@30Hz, CEC, EDID, and HDCP. Simple Integration: By providing an unprecedented and unique solution, HDbitT easily meetw the need of end-to-end Pro-A/V signals conversion, transmission and display. Multi-interfaces supports: Ideal for high throughput video with multi-interface including UTP/STP category cable, Coaxial, Fiber Optic, Wireless, Powerline Cable and even more. Advanced Encryption Standard: Using a realtime AES encryption algorithm keeps your digital signal safe. Pass-through over switch: HDbitT Supports distribution by a LAN router or switch. Occupy less bandwidth: HDbitT technology occupies less bandwidth without any internet bandwidth affected. Plug and play：Intelligent and automatic adjustment, kit paired instantly without configuration, easy-to-use and ready for plug and play. Cost-effective: Compatible with existing network systems delivered by multiple medium, HDbitT aims to be the best alternative to digital connections. Flexible connection: By delivering full HD audio/video to an existing network, HDbitT supports both point-to-point and multipoint-to-multipoint transmission and daisy chain connection. HDTV Supply includes a 1 Year Limited U.S. Warranty on this HDMI Matrix Switcher over LAN. The U.S. warranty states that (a) its products will perform substantially in accordance with the accompanying written materials for a period of 1 year from the date of receipt & (b) that the HDMI Over LAN matrix will be free from defects in materials & workmanship under normal use & service for a period of 1 year. In order to get a warranty replacement for a defective item, HDTV Supplys Support Team will verify the product is eligible for warranty. An RMA number will then be issued. Shipped replacements will be in like new conditions, tested & all HDMI Over Network Adapter components included. A 30-day RETURN also comes with this warranty as well as Free Lifetime Tech Support.